There are many special line and area shapes in Edraw software for you to choose, line, 100% line, step line, area, step area, point, line with marker. All these shape will greatly help you draw the diagram you like. Line chart shapes like line, 100% line, step line, area, step area, point, line with marker and more are available. 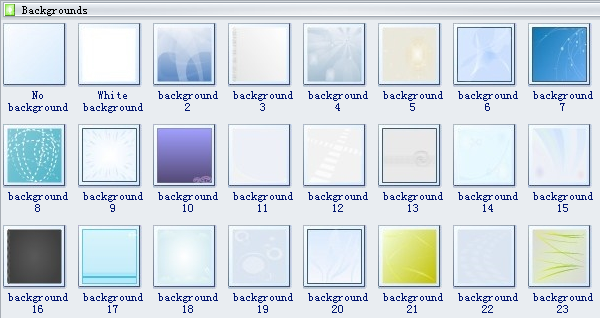 Moreover, there are lots of beautiful backgrounds for you to choose. Line chart displays information as a series of data points called 'markers' connected by straight line segments. 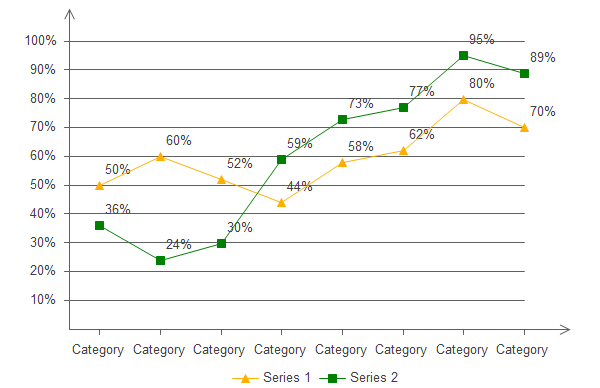 Step line chart uses only vertical and horizontal lines to connect the data points. In the library of Line and Area, there is a shape inserted to guide users how to use Line, Area, and Scatter shapes. It is put on the top left corner of the library window. 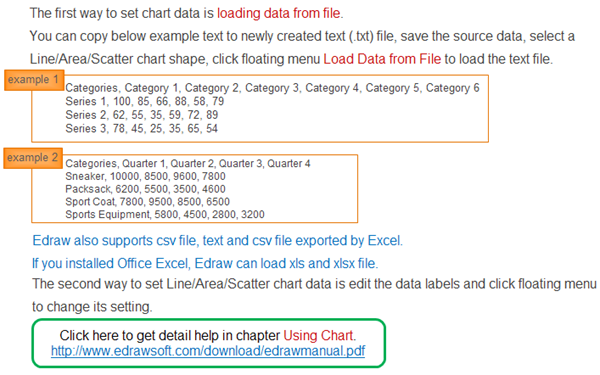 Drag it onto the drawing page to see relevant information. All the Line Chart Symbols can function as a blank template. You can make modifications according to your need through the floating action button. It shows when the shape is selected or when the pointer is over the shape. Rest the pointer over the button to show what you can do through it. With one single click, the shape alters automatically, eliminating many hassles of hand drawing. There are a group of line chart shapes with markers. You can change the marker style buy using the floating action button of the sub shape. Click the floating button and then a dialogue box pop up. Select your preferable style from the drop down menu. Need fresh looking line chart symbols for your design? These line chart symbols are a cinch to pop in. And their crisp, fine detail will make spectacular, easy-to-understand diagrams and presentations to your customers.